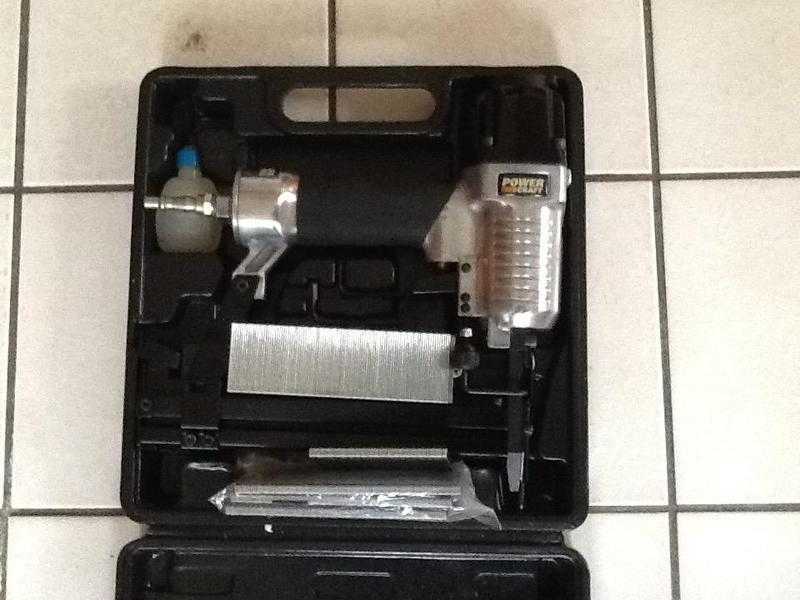 POWER CRAFT NAILING/stapling gun for sale. 2 in 1 magazine for 18 gauge nails or staples. Operates to 120psi. Accepts nails 16-40mm length. Touch Strike Security system for operator safety. 360 degree adjustable exhaust deflector. Strong storage/carry.